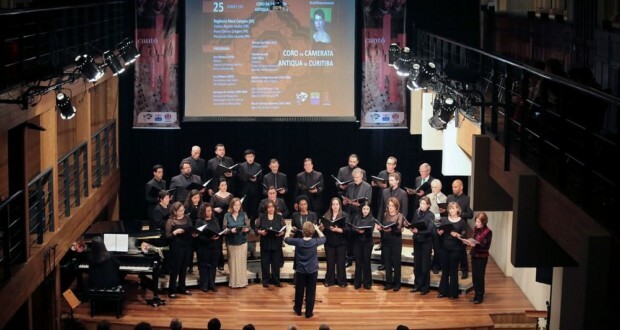 Choir of the Camerata de Curitiba. Photo: Doreen Marques. 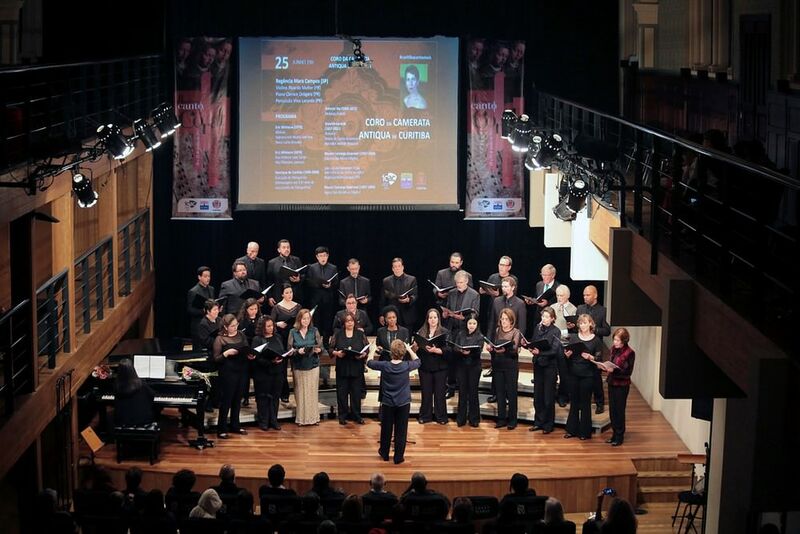 The choir of the Camerata Antiqua of Curitiba celebrates 500 years of the Protestant Reformation with a historic concert, This Friday (1/9), at 8:0 pm, it is Saturday (2/9), às 18h30. The phrase "A peace, If possible, but the truth, at any price ", of Martin Luther (1483-1546), gives title to the program that is reinforced in the works performed by the choir under the baton of Mara fields and monitoring the Tarke organist Ortigara. The repertoire, the Camerata choir pays tribute to five centuries ago the reform having as starting point the first Protestant hymns, composed of a lineage of composers unknown to the general public, that reformist ideals and reverberaram enhance your flagship hymnal, as Balthasar Resinarius and Melchior Franck. Established authors that they dialogue with the community in his writings also appear, as Heinrich Schütz and Michael Praetorius. The works still awaited gain prominence as the works ' "strong Castle is our God" and "Non moriar sed live", of Martin Luther and the Jesu, Meine Freude (BWV 227) and Ein feste Burgistunser Gott (Cantata BWV 80), by Johann Sebastian Bach (1685-1750). "The music exercised a key role in the reform proposal on overcoming that historic conflict and in the midst of so many other needy ties of tolerance and understanding", explains the conductor Mara Fields. "Understand and participate were the pillars of reform, and we want to present it in concert. Luther, He even composer and admirer of the work of Josquin des Prez, joined the intellectuals, musicians and writers with the aim of making accessible to the Congregation, both the reading of Scripture, as the celebration of liturgical rites in German, before practiced only in Latin ", concludes Mara. Historical -The Protestant Reformation was a Christian reform movement created in the early 16th century by Martin Luther. By publishing your 95 theses, in 31 October 1517, on the door of the Castle Church of Wittenberg, Luther protested against various points of the doctrine of the Roman Catholic Church, proposing a reform in Roman Catholicism. It was joined by several religious and European rulers, causing a religious revolution, began in Germany, stretching for Switzerland, France, The Netherlands, United Kingdom, Scandinavia and some parts of Eastern Europe, especially the Baltic Countries and Hungary. The answer of the Roman Catholic Church was the movement known as Counter-reformation or Catholic Reformation, started at the Council of Trent. The result of the Reformation was the Division of the so-called Church of the West between Roman Catholics and the Protestant or reformed, resulting in Protestantism.